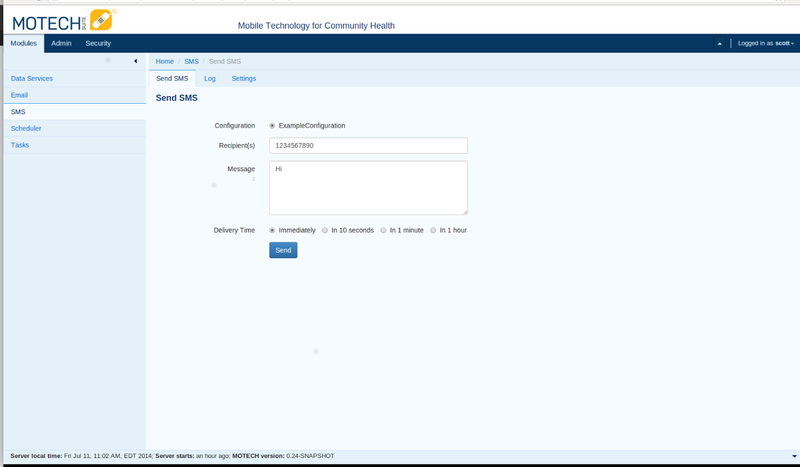 The SMS API module provides implementers with an event-driven SMS framework. 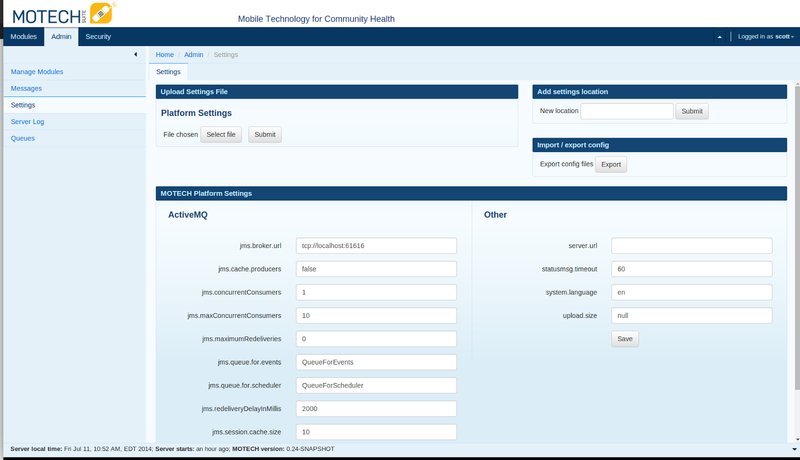 Implementers can use this module on its own to send SMS messages via the user interface. This module can also be combined with other modules along with MOTECH core functionalities to create an events based SMS messaging campaign. Depending on the SMS service you use, the required fields will differ. Make sure that the name of your configuration contains no spaces. The authorization credentials should be provided by the SMS service provider. Remember to save the configuration before moving on. These events can be used with the Tasks module to trigger actions in other modules. The SMS module also listens for the “Send SMS” event. When a task emits a send SMS event, the SMS module consumes the event, extracts the payload,and sends an SMS based on the information in the payload. See the Tasks Module documentation for more information on how to create tasks. All of the events used by SMS module can also be implemented programmatically when developing a new MOTECH module. The following is a list of all events emitted and consumed by the SMS module. 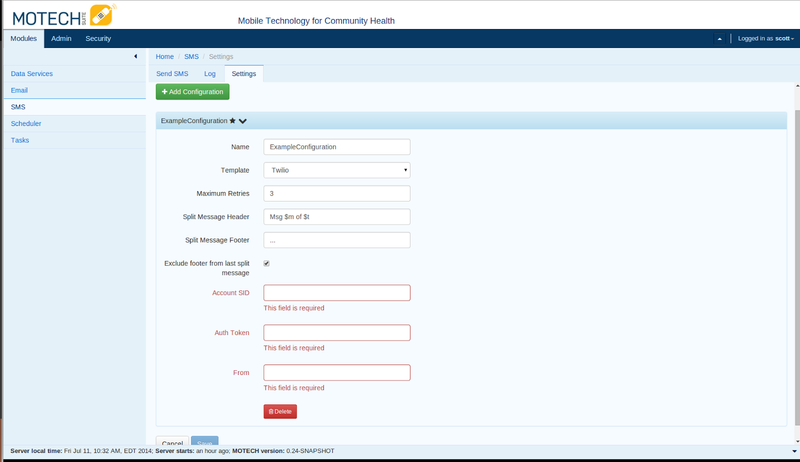 The SMS module provides a single service interface for raising SendSMS events in the system. The SMS API will split a single message into multiple messages based on a maximum character count of 160. Each split message will have its own send SMS event raised in the system.